Can a Breathalyzer cause a wrongful DUI Conviction? Welcome to the machine, Phoenix. The breathalyzer. A collection of science and engineering serving as the primary weapon in law enforcement’s arsenal to detect drivers who are impaired by alcohol or drugs. A study reported in May by ZDNet.com validates what I and other DUI defense attorneys have long positioned: that these machines can be fallible. Test results can be wrong because of the device’s design, its calibration or police officers improperly using them. Then innocent people are convicted of DUI and they pay for the faulty result by losing freedom, money and jobs. An attorney in Washington State commissioned a security researcher and a software engineer to study the “source code” of the breathalyzer the state purchased to replace its aging machines. They chose the Alcotest 9510 made by Draeger, a German medical technology company, which was the only bidder. A source code is the basic component of a computer program that can be easily understood by the machine’s user. The two researchers announced the machine had flaws - issues with the source code that cause incorrect test results. Their early results were shared with DUI attorneys gathered for a conference. When Draeger learned that the early results were publically shared the company filed a “cease and desist” order and threatened to sue because sharing information violated a protection order the researchers had agreed to honor. Draeger said it was protecting its intellectual property and denied it was suppressing the research. The research was not finished and a final report was never issued. However, the initial report concluded that in some conditions the Alcotest 9510 can generate a high reading over the legal blood alcohol concentration limit. The researchers’ report also criticized the machine’s inability to adjust to the temperature of a person’s breath, which can change during the course of a day and dramatically alter the test result. One degree of centigrade temperature can change the test result by 6 percent and show the suspected DUI driver over the legal limit, 0.08 person of blood alcohol concentration in most states including Arizona. The researchers reported that the code in the machine doesn’t say how the “corrections” are made and they could be insufficient. Washington’s state patrol insists that its temperature degree formula corrects the breath temperature downward to prevent false results, yet the state elected not to install in its machines the component that measures breath temperature. The partial report stated the machine could register a result even if it’s outside of its operational standards. So, if the breathalyzer is too warm, the result wouldn’t indicate the test could be invalid. Draeger responded that the machine won’t give a reading when it’s outside of its temperature range and that it can check its own temperature. The Alcotest 9510 employs two sensors that measurer alcohol content. One is an infrared beam that shows the amount of light passes through a person’s breath and the second is a fuel cell that measures electrical current. The results of each should be the same with a slight margin of error. If the spread is too wide the test is rejected. Our state authorities selected to use the Intoxilyzer 8000 by CMI, an international company, and has since early in this century. They are serviced by the Arizona Department of Public Safety, which also sets the machine’s operation standards. The Intoxilyzer 8000 uses infrared spectrometry and it’s a large machine used at police stations. A bulb is the infrared source that is attached to a gas chamber which acts as a lens. The breath passes through the lens that’s connected to the electronics that do the measuring and then to the machine’s computer brain. Criticisms of the Intoxilyzer 8000 includes that it produces inflated readings. Do I have a choice in taking breath test? If you’re stopped by police you’re up against science, technology and the operator, but these may not be insurmountable depending upon the circumstances. Also, the metabolism of alcohol in the body can vary from person to person depending on weight and the amount of body fat. If you think you may fail a breath test you have the option of refusing to take the test. But doing so means a year-long suspension of your driver’s license. A restricted license may be issued after 90 days. I recommend not answering questions posed by police. You have a right to remain silent and that’s best for your defense. Testing must happen within two hours of the traffic stop so police may promptly obtain a search warrant to take blood samples as evidence. Arizona prosecutors have tried and failed to limit defense arguments challenging the reliability of the Intoxilyzer 8000. At trial, the state must prove its case beyond a reasonable doubt and it’s the defense attorney’s job to cast doubt in the minds of jurors to win an acquittal. The defense will challenge the reliability of the machine, can run an independent analysis of the breath sample if it’s available as it should be, and can use an expert witness to refute the state’s evidence. In some cases it may be beneficial for the defense to negotiate a lesser charge, such as reckless driving with significantly reduced penalty. But that’s strictly the defendant’s choice. If you or a loved one is caught in a breathalyzer trap, getting qualified legal representation promptly is a necessity. Don’t give up without a fight. I’m well-versed in Arizona’s DUI law and I’ve helped many people facing a DUI conviction. I provide a free legal consultation and you don’t have to hire me to get my advice. I will explain the law and discuss your options. 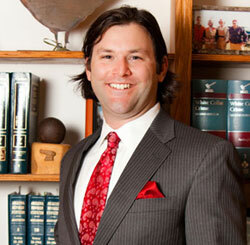 Contact Phoenix DUI Defense Attorney Aaron Black or call 480-729-1683.